I’m not a big gamer but if I get a chance to play, I would almost always pick puzzle style games where you are rewarded for your patience and the ability to spot and understand things. 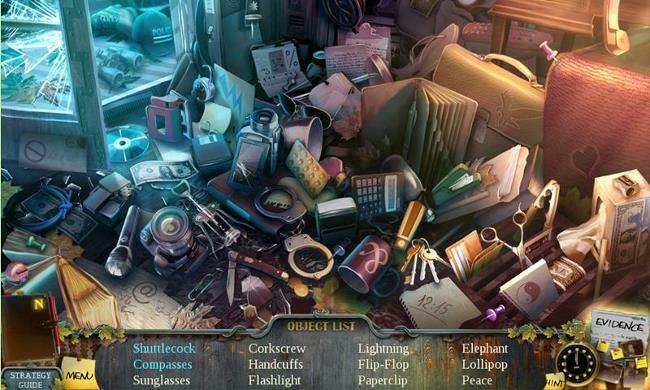 If you are like me then you might like the hidden objects game where you need to find the carefully hidden things within a given environment. 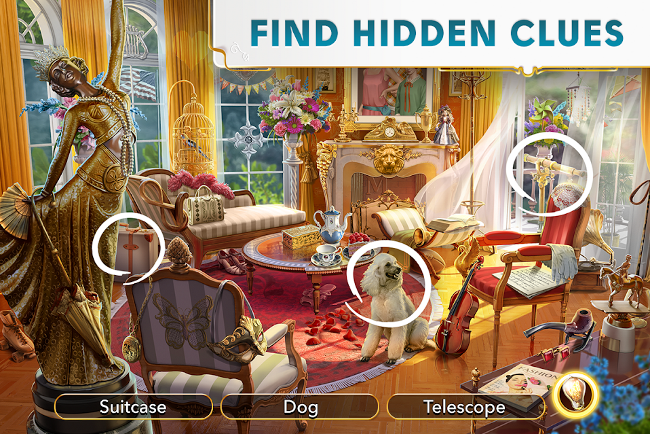 Here are some of the best hidden-object games for Android that you should definitely try. 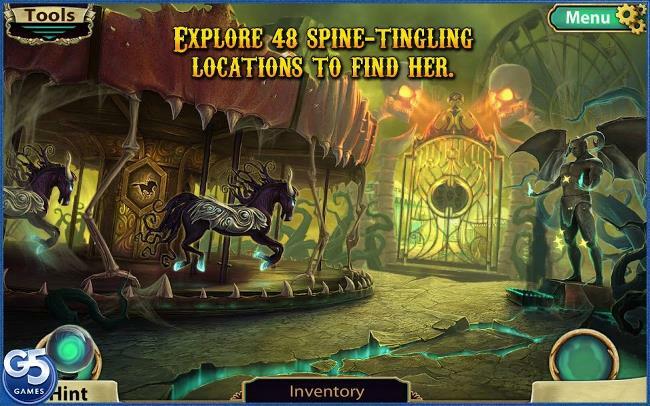 Note: Hidden object Games are best played on a bigger screen phones such as Note 9 or an iPad etc. Hidden City is a very gorgeous looking game where you will travel between different places to find hidden objects, treasure, and other goodies. The premise of the game is your friend went to a mysterious hidden city enveloped by constant fog and otherworldly beings. As soon as he landed in the hidden city, he mysteriously went missing. In search of your friend, you too visit the hidden city where you find different objects and clues with the help of some new friends. Price: Free, has ads and in-app purchases. 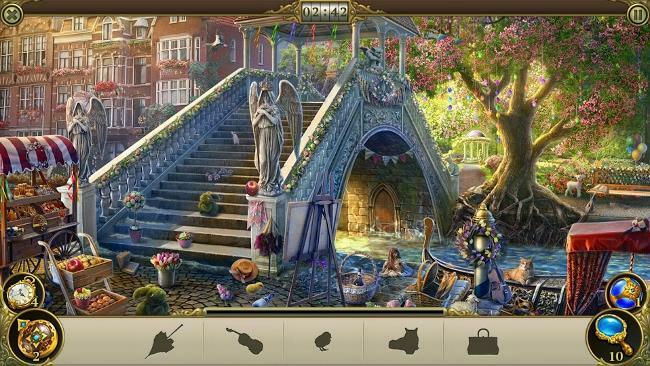 June’s Journey is one of the highly rated hidden object games for Android. That game not only looks awesome with its hand-drawn scenes and amazing cast but it makes it a joy to find all the hidden objects and treasures. June’s Journey takes place in 1920s America. June is traveling with her niece to various places throughout the world to find her missing sister. 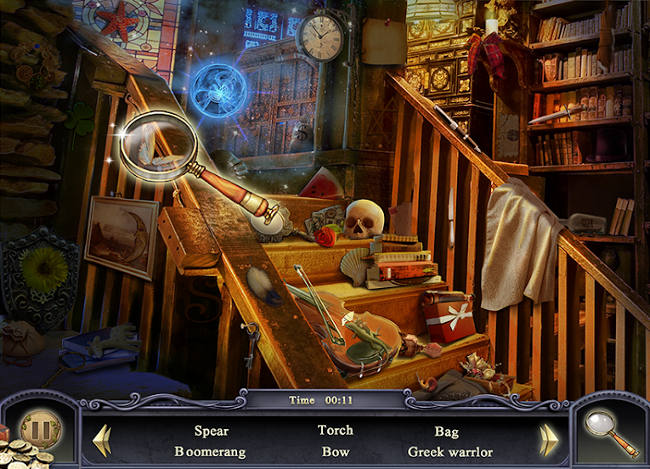 Along with finding hidden objects, you’ll also be able to solve tricky puzzles. As you can tell from the name itself, you get to be an agent and solve difficult and mysterious crimes. Along with solving crimes, you can also help with relationships, romance, and other mysteries. The game takes place in 1960’s environment and is divided into episodes. 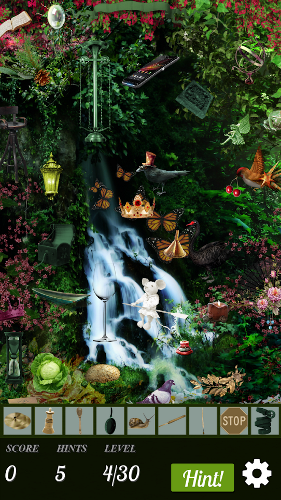 Each episode has beautiful scenes with hidden objects of varying levels of difficulty. There are also different modes like timed finding, spot the difference, puzzles, etc. Price: Free and has in-app purchases. Enigmatis is a game where you wake up in a small town hunted by ghosts with your memories missing or jumbled up. 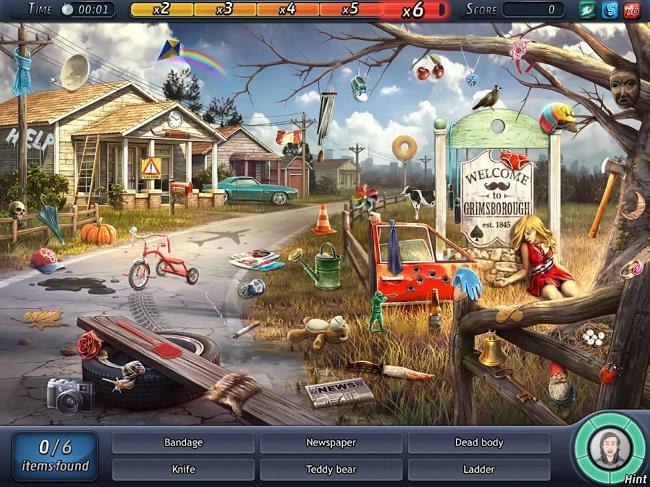 You need to save yourself and a little girl from the hunted town by finding hidden objects and solving puzzles. While playing the game, you get to piece your memories one by one to get a better picture of what you are dealing with. Price: The app costs $2.99 and contains in-app purchases. As the name implies, The Secret Society is about a community of people who have special powers that allow them to travel between their magic world and our world. The premise of the game is that your uncle is suddenly missing. Thanks to your special powers, you go on to collect hidden object and clues to find your missing uncle. The Secret Society contains 70 different locations to explore, mini-games, puzzles, 5000+ quests and many more. The game is made by the same people who made Hidden City. The name says it all, doesn’t it? The game closely resembles the actual CSI tv show. You get to solve a lot of crime scenes by finding hidden clues. Not only that but you can analyze the clues and interrogate suspects. The entire game is divided into episodes. You can create your own crew to solve puzzles and clues much faster. If you like the CSI tv show then you will find this game entertaining and engaging. In this game, you are a detective with high intellect and survival instincts. You are tasked to find a young lady gone missing on a mysterious island called Tormente. As the name suggests, the island is haunted and horror filled. Using your skills, you need to find all the hidden clues to save the young lady and yourself from creatures threatening to kill. The best thing about the game is that there are dozens of places to explorer, chilling audio and engaging cut scenes to get a full understanding of the game story. Price: The game costs you $1.99. Abyss: The Wraiths of Eden is an underwater game where you can explorer places hunted and controlled by demons. 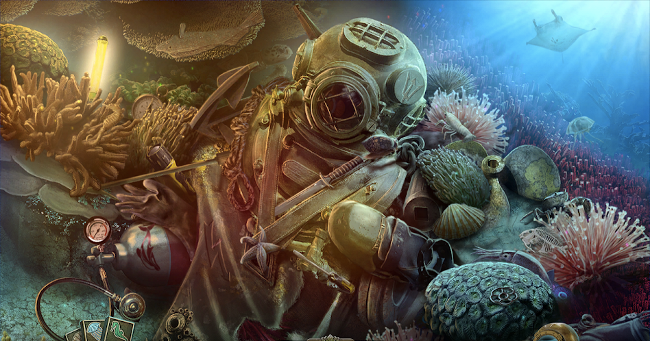 Your job is dive deep into the ocean depths, find all the hidden objects and clues to get the place rid of demons and find your partner. 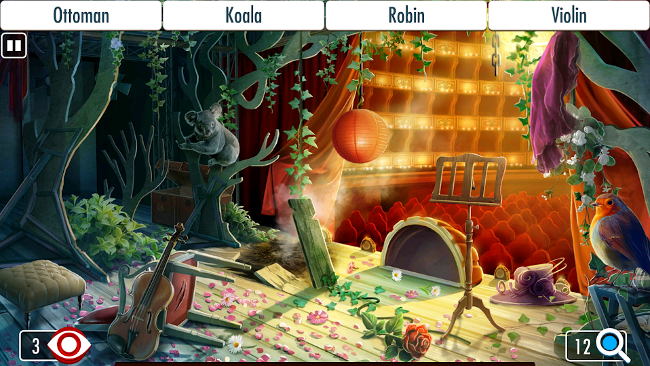 Alice in the Mirror of Albion is a game inspired by the famous story Alice in the Wonderland. Just like in that story, you will travel to a mysterious and magical place filled with stunning places, mysteries, and dangers. By finding all the clues and solving tricky puzzles, you can defeat the queen of hearts and rid the place of evil. Criminal Case is very similar to the CSI game. In this game, you get to solve murder cases by finding the clues, analyzing found clues, and investigating suspects and witnesses. 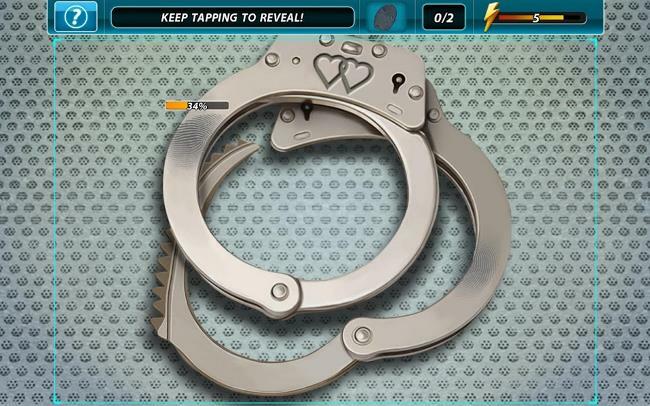 The game has hundreds of crimes scenes with varying degree of difficulties to keep you entertained. In the Dark Arcana: The Carnival game, your town is visited by a carnival from their own world. Ever since the carnival, people are missing. Incidentally, the carnival has its own deep and dark secrets. You need to find hidden clues to solve all the secrets and mysteries in both the alternate carnival world and our world. Enchanted Castle is all about a gorgeous looking world all within a castle. The castle offers a unique story with all the objects you find. Additionally, you can do a complete home makeover, if needed. There are over 2000 objects and hints to help you be better at the game. This game’s world has its guardians missing and your job is to find all the clues and objects to solve the hidden mystery and legend behind the Secret Guardians. 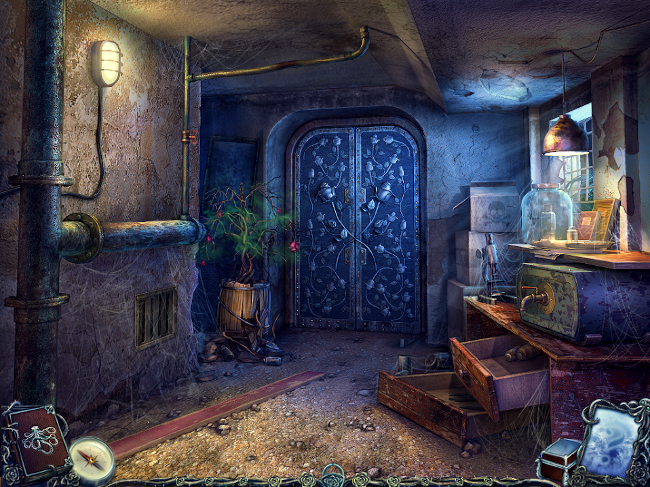 The game contains 30 levels with hundreds of hidden objects. 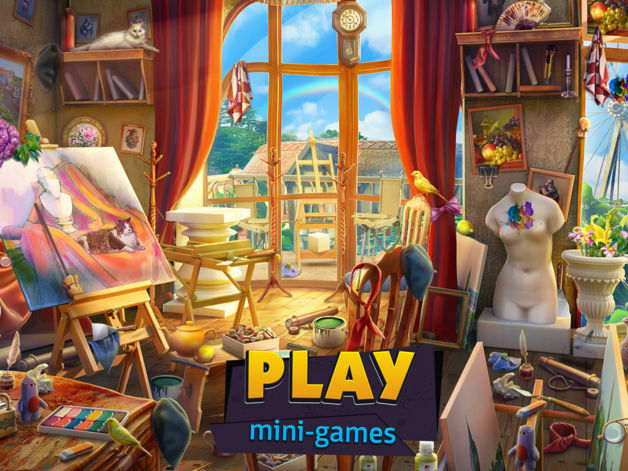 What makes the game special is that there are multiple ways to solve and find hidden objects. Unlike all the other games, Home Makeover is very different. In this game, you will play as a loving grandchild who is visiting your grandparents’ home. 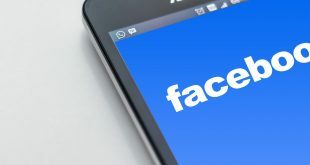 The first thing you notice is that most of the furniture and other things in the home need some cleaning and makeover. So, with the help of your grandparents, you will find all the objects, sell them and buy new ones to do a complete home makeover. What makes the games special is that it has a good buy and sell mechanism and multiple ways to find the hidden items. 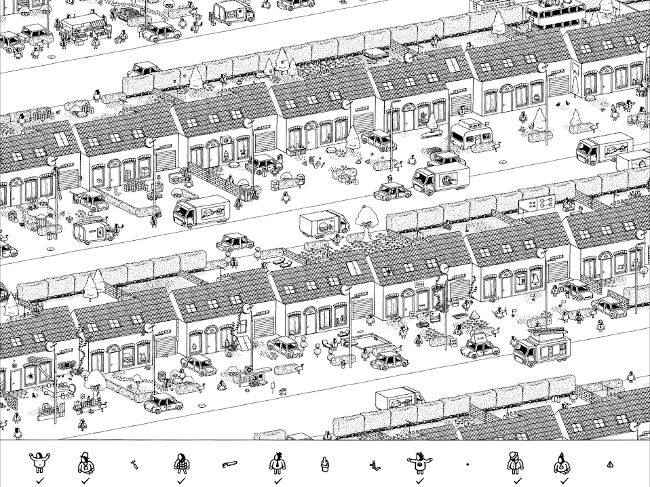 Of all the games in this list, Hidden Folks the most detailed and awesome looking game. The game is entirely hand drawn with miniature landscapes and townsfolk. 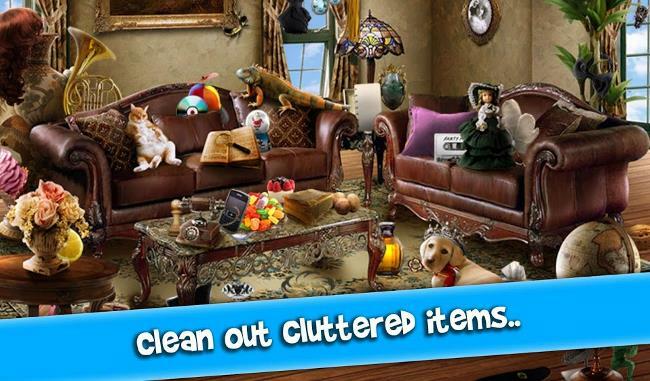 There are 25+ different areas and over 250 hidden objects to find. Now, if you thinking that your eyes will hurt due to the glaring white screen, don’t worry, the game developers thought about it too. You get to choose between three color modes, normal, sepia, and night mode. Price: The game costs you $3.99 with one in-app purchase. Quiet Place is a very simple game with stunning visuals where you can find hidden objects at your own pace. The game has over 200 different objects to find and a campaign mode where you can access different game modes with increasing difficulty. There is also a zoom and hint feature to help find the objects quickly and efficiently. 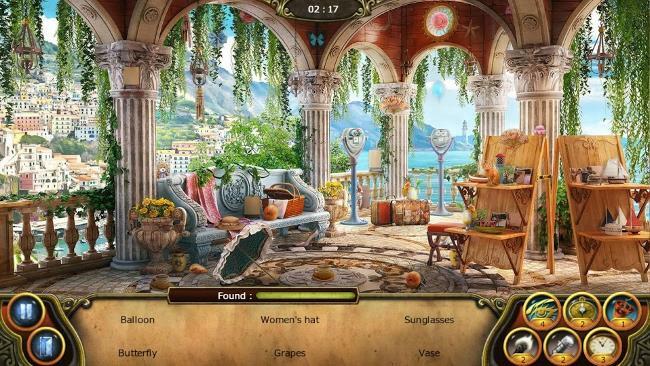 Which is the best Hidden Object Games? 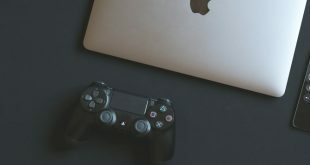 Criminal Case and CSI are my favorites as I love solving criminal mysteries, although I do play Home Makeover with my siblings to tease them of their messy rooms. Every game in this list satiates my desire for finding clues and hope this list helps you too. 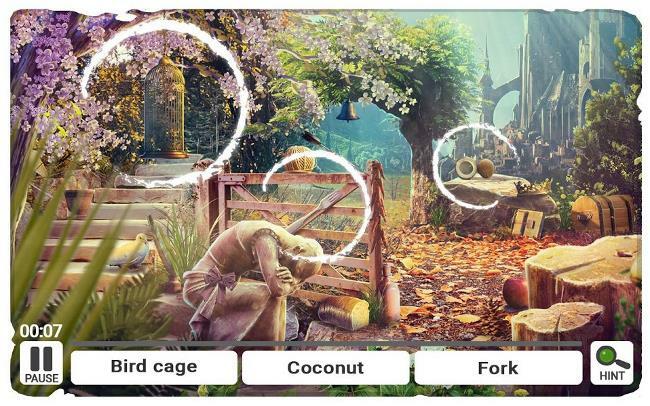 Comment below sharing your thoughts and experiences about playing the above-hidden object games for Android.